What is naNOX9® Next Gen? naNOX9® Next Gen is a formula developed by Muscletech that includes a mixture of amino acids and ingredients involved in the formation of nitric oxide and vasodilatation such as Arginine - inositol silicate (Nitrosigine®), White Hawthorn and Pomegranate Extract. This is one of the best pre-workout products to fill with energy your workouts (without the use of stimulants) and at the same time increase the delivery of oxygen and nutrients to the muscle thanks to its vasodilator effect. It also includes beta-alanine that helps neutralize muscle fatigue, Eleuthero (Siberian Ginseng) to boost performance and Rhodiola, plant with interesting adaptogenic properties. What are the properties of naNOX9 ® Next Gen? NaNOX9 Next Gen is a supplement that promotes nitric oxide synthesis to produce a vasodilatory effect that favors increased blood flow to the muscle areas involved in training. Maximizing blood flow to the region you want to develop will allow more oxygen and nutrients to reach the muscle you exercise and encourage the disposal of waste products, resulting in a increase of performance, strength and a greater recovery. This increase in oxygen and nutrients also favors the process of muscle development. When training, several physiological triggers cause a release of calcium in endothelial cells that align blood vessels, which causes the enzyme nitric oxide synthase to produce nitric oxide from the amino acid arginine. Nitric oxide then leaves the endothelial cell to facilitate the relaxation of the smooth muscle cells lining the blood vessels, which allows vasodilation and more blood to enter the skeletal muscle, giving way to the effect known as 'muscular pump'. The dosage of Nitrosigine® arginine has the capacity of quickly being absorbed in the bloodstream, where blood arginine levels increase in plasma entering the endothelial cells and is converted to nitric oxide via the nitric oxide synthase process. The newly formed NO molecules rapidly diffuse from the endothelium to the smooth muscle cells that form the blood vessel, where the enzyme guanylyl cyclase (CG) is bound and activated. The enzyme GC converts guanosine triphosphate (GTP) to cyclic guanosine monophosphate (cGMP), which works as a messenger for many important cellular functions, such as signaling for smooth muscle relaxation to take place. As a result, the contractile reaction within the smooth muscle cells of blood vessels decreases, increasing vasodilation and muscle pumps. NaNOX9® Next Gen has been enriched with 2 plants with great vasodilating properties such as White Hawthorn and Pomegranate Extract. It also includes a powerful dose of beta-alanine. Beta-alanine is a key ingredient in any pre-workout formula as it increases levels of Carnosine, a molecule that helps buffer the acid in muscle tissue, increasing the duration of physical exercise at high intensity. It includes Rhodiola Extract and Eleuthero, adaptogenic plants that support the body against decay in circumstances of high physical or mental stress. Both plants form the perfect blend to enhance performance both physically and cognitively. They do not cause nervousness like other stimulants included in pre-workout formulas such as caffeine. Who can benefit from naNOX9® Next Gen? 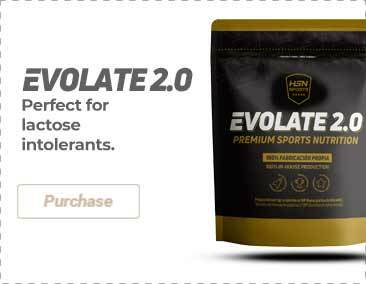 Sportsmen who want a pre-workout nitric oxide enhancer without stimulants as to boost their physical performance and promote muscle development. Beta-Alanine (CarnoSyn®), Arginine inositol silicate (Nitrosigine), Hawthorn Berries (Crataegus oxycantha), Pomegranate extract (Punica granatum), Choline bitartrate, Rhodiola extract (as Rhodiola rosea) (root) standardized for salidrosides and rosavines), Eleuthero (Eleutherococcus senticosus) (root), Thickener (Microcrystalline Cellulose), Coating agent (Hydroxypropylcellulose), Acidity corrector (Calcium Phosphates), Capsule (colorant (Titanium dioxide), Humectant (Polyethylene glycol) Anti-caking agent (talc), Colorants (Allura Red AC) and (Brilliant blue FCF), Anti-caking agents (Magnesium stearate) and (Stearic acid), Stabilizer (carboxymethylcellulose sodium), Anti-Caking agent (silicon dioxide), Sweetener (Acesulfame K). To assess your tolerance, take 2 tablets with water 30 minutes before training. Once you have checked that the tolerance has been assessed, take 4 capsules 30 minutes before training. Do not exceed 4 capsules in a 24-hour period. Since naNOX9® Next Gen has no stimulants, it can be combined with any other pre-workout. This product contains active ingredients that are capable of modifying the absorption or effect of medicines, consult your doctor before taking it. For adults only. The consumption of this product is contraindicated for pregnant or lactating women. Beta-alanine can cause a tingling sensation that is similar to the symptoms caused by a niacin overdose. Do not be alarmed, it is harmless and fades away with time. Nutritional supplements should not be used to replace a balanced diet. Do not exceed the stated recommended daily dose. Keep in a cool and dry place, out of reach of the smallest children.